Highlees & Eyrescroft Federation - Highlees gets motivated! Our community motivation morning was a huge success! Thank you to those of you who joined us on the KS2 playground for our community motivation morning. 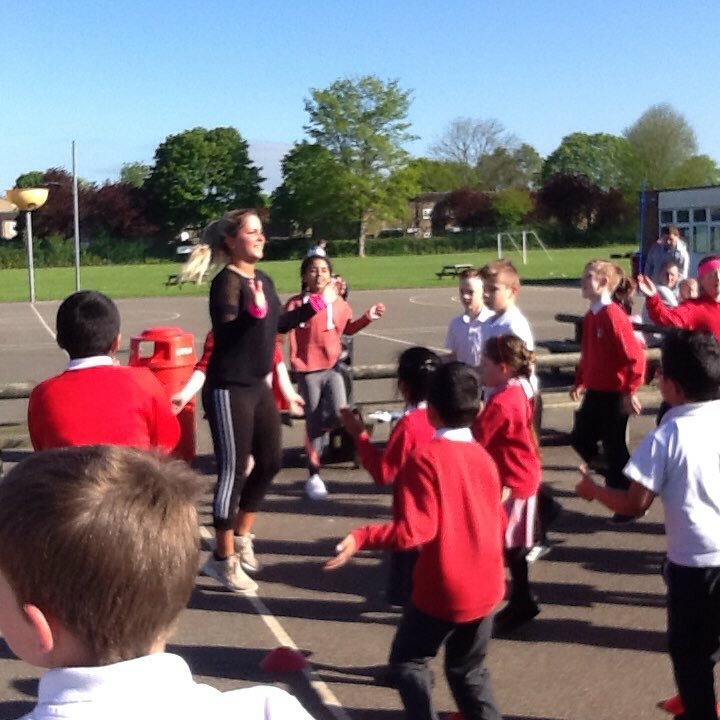 Miss Jarvis put us through our paces with an energetic morning workout. The children were certainly energised ready for school. We hope you were too! Keep an eye out for our next session, which will be advertised in the next issue of "Highlees News". We hope to see you all there!